Lack of luck is a very dramatic and can lead to the despair of everyone, even the strong-willed person. In each individual case, it can be bad luck in everything, or in particular situations –at work, in family, love or health. The energy of luck is very capricious and consists of many details, not everyone can collect all these pieces himself. The process requires tremendous efforts and time, but we can offer a better decision. Our special spells aimed at attracting success and good luck in the affairs of various spheres of life. These spells are to bring you balance, positive energy and prosperity. Harmony will come into your life with the help of such spells. Moreover, we provide spells for special spheres of life, which require an amount of luck, for example, different kinds of games. Not only spells work for our customers, but also amulets and talismans. There are a wide range of bracelets, which are to give success, good luck and creativity. 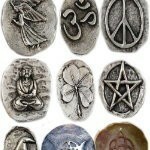 You will be able to convert negative energy into positive one and to have protection. Just use it and draw positive. This enchanting piece has the spell of Attract Good Luck. Find the rewards in every thing great and small when Good Luck is attracted to you. Good Luck from the smallest situation to the ones that affect your life. This offering is for a vessel spelled with a spell blend of Celtic magic for attracting Good Luck (success, prosperity), bringing Spiritual Insight (bonding & connecting with spirits) and encouraging a Powerful Soul (bringing you inner strength & endurance). The Chain Reaction spell multiplies all the good things that happen to you in life. The spell works by attracting positive opportunities and good luck and when something good happens the spell brings a chain reaction of other prosperous or lucky events to happen! This charm bracelet has enchantments for Success, Good Luck, Prosperity, and Creativity! Give yourself a boost with attractive, magnetic Good Luck energies, and energies to Succeed in your endeavors, attract Prosperity & Wealth, and be Creative in your pursuits & solutions! This Feather Flame token is charged with the fire's elemental power of Good Luck. It has Drawing spells to bring you good luck in games of chance, success & happiness in all aspects of your life, help you gain the edge in small & great things, have support to attract positive energy & opportunities into your life! A vibrant and lively enchantment that brings prosperity in more ways than you can imagine, the Fortune Force spell attracts good luck in a specific form for your life each month in a different way. One month you may see an increase in your career luck, the next month an increase in your good luck with wealth & prosperity, the next month an increase in your love luck, and the list is endless. Your schedule of prosperity will be unique to you and each month something new comes to bring you the best. These dice are carved from natural gemstone and they are absolutely stunning! 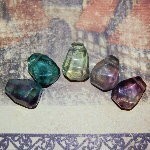 You will receive one gemstone die which is enchanted with spells for attracting good luck, attracting spontaneous blessings, and will give you an edge in games of chance. These enchanted die are fantastic for anyone who wants a boost in their path of prosperity. Cast by Ash with the help of one of his favorite human spirit companions Doc Holliday. This ring contains more than 200 gambling reward spells from various countries and sources. 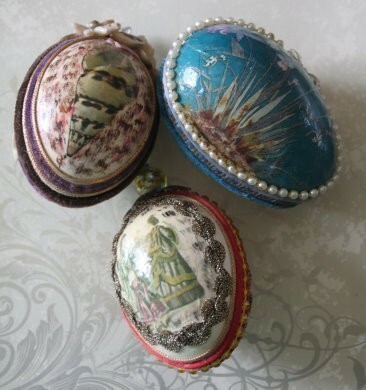 Magic Egg - Your Choice Of Binding On A Beautiful Egg! You have your choice of binding, on a beautiful, unique egg! English spell for good luck and prosperity is found in this lovely jade egg hand-painted with beautiful scenery... Norse spell for an adventurer's spirit, spontaneity and excitement is found in this lovely jade egg hand-painted with beautiful scenery... French spell for boosting the power of magic cast is found in this lovely jade egg hand-painted with beautiful scenery... Italian spell for helping the body to cleanse, heal and experience new found enlightenment is found in this lovely jade egg hand-painted with beautiful scenery... Spanish spell for providing a rebirth of all 3 of your bodies to be better aligned and connected to the evolution & gracious, positive power of the Universe... German spell for wealth is found in this lovely jade egg hand-painted with beautiful scenery.